President Donald Trump announced his intention to set up tent cities along the border for people who apply for asylum at the southern border during an interview with Fox News host Laura Ingraham on Monday night. “What has been happening, and we’re not, as of pretty recently, we are not letting them out. What happens is they would catch and release. We are catching, we are not releasing, so they want to come over – but we’re not even doing that. We’re not letting them into this country. We’re not going to let gang members, –” the president said. “If they apply for asylum, we are going to hold them until such time their trial takes place,” Trump responded. 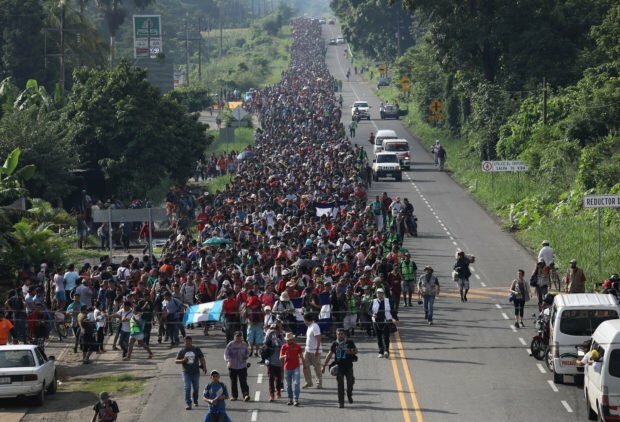 The Pentagon announced Monday its plan to send 5,200 troops to the border to help with the potential influx with the caravan moving closer to the southern border.